For any business, the fundamental path to growth is through the pursuit of increased revenue. Revenue generation can occur over a variety of methods, but the most successful and quantitative process is through sales. Alliance Recruitment Agency provides its global clientele with a plethora of executive sales recruitment services to help them build the perfect sales and business development team. Salespeople are often called the backbone of an organization; since they are the vital link between the company and its consumers. As a result, it is imperative for companies to acquire the most talented sales people in their respective fields. For executive search in sales and business development domain, Alliance Recruitment Agency is one of the leading sales executive search firms that has provided its clients across the world with the very best services in client satisfaction and domain coverage. The sales executive and business development search is one of the core domains of Alliance Recruitment Agency’s business model. With its global presence across major locations in the United States, the United Kingdom, the Middle East and India – our organization uses its hand-picked recruiters who have direct experience in sales and business development across a wide range of industries. 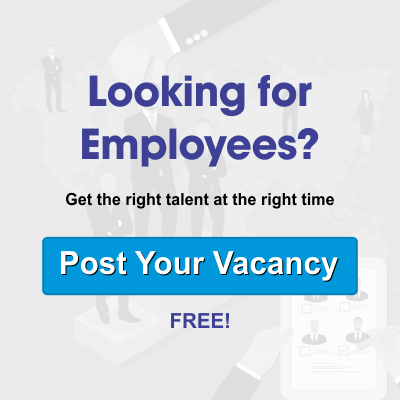 This in turn enhances the quality of the candidates received, and we provide our client with the very best in talent in their particular vertical. As sales executive headhunters, we provide all possible methods to ensure that employers have access to knowledgeable and hardworking individuals who have proved their mettle through years of experience in the field. With a vast array of industries being serviced; Alliance Recruitment Agency leads sales executive search firms with industries in its portfolio ranging from construction, real estate, insurance, healthcare, hospitality and information technology to retail and mass media. For top notch executive sales recruitment,our company has access to personnel across a wide range of industries – including those providing employment as well as those seeking jobs, and our team of recruiters help employers match their potential requirements within the least amount of time. 1. Business Development Managers: The core backbone of any sales department, the business development manager holds together a sales team for a particular region. He not only takes the responsibility for revenue generation, but also has operational responsibilities. Finally, a well-rounded business development manager also provides customer support and other services to important clients. Alliance Recruitment Agency provides the very best in executive sales recruitment to its clientele. 2. Sales Executives: The sales executive is the most important part of a well-established sales team. The sales executive is the direct point of contact between the business and its core clients. He is also responsible for maintaining customer satisfaction and is the go-to person to ensure a customer has a smooth and high quality experience. Experienced sales executives are of the most sought-after people in organizations worldwide – and for good reason: they can change the outlook of a business in the minds of the customer. Alliance Recruitment Agency maintains a network of the best sales professionals across various fields and provides organizations with the ability to search sales executives from hundreds of talented individuals. The demand of sales executives have been growing since the past decade. With the global economy still reeling from the effects of the previous economic slowdown; organizations require the best talents who can interact with their customers and provide them with superior customer satisfaction. Alliance Recruitment Agency builds on that premise to provide organizations with the opportunity to create a sales team tailored to their exact needs. Let us build your sales team today!